Marcha contra la homofobia from elhorizontal.com on Vimeo. Mexicans gay and straight marched 13 August from the office of the Attorney General (PGR), Marisela Morales, to Mexico City's main square (the Zocolo) to demand justice for Christian Sánchez and over 700 people killed in the country in 2011 so far for their sexual orientation. Mexico reportedly has the second highest rate of homophobic crimes in Latin America. The national march follows protests elsewhere in Mexico, such as a July march in Guerrero the capital city of the southern state of Chilpancingo, following the possible stoning murder of activist Leija Herrera. The contingent, led by the Sánchez family, activists and local legislators, demanded that the federal agency to implement a national plan to combat homophobia. Protesters called on the authorities to reaffirm the status of the murder of Sánchez as a homophobic hate crime and punished "in exemplary fashion" those responsible. They also requested that the case be transferred to the agency specialised in crimes against the sexual diversity community. Daniel Sánchez Juarez, the victim's brother, read a statement on behalf of the organising committee of the march, to demand that all hate crimes in Mexico "are clarified with the rigor and the definition of hate crime homophobic, lesfobia, biphobia and transphobia." They demanded a federal law to "prevent and punish conduct homophobic antidiversas, anti-progressive and intolerant that generates an environment conducive to hate crimes." 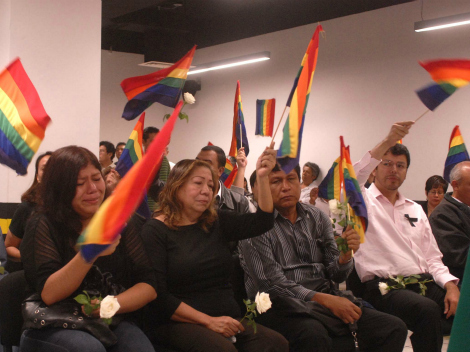 They requested strongly that the National Council to Prevent Discrimination (CONAPRED) "launch in full force a national campaign against violence against LGBTTTI community, it has become urgent that all states have in the their penal codes hate crime law." 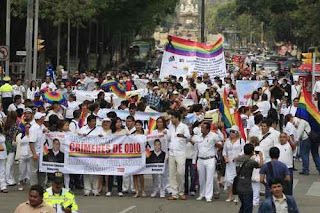 The march was attended by representatives of Amnesty International, the National Association of Democratic Lawyers, Agenda LGBT Fundar, Project 21, the Gay and Lesbian Business Association and Mexican ProDiana Association, among other groups. Sánchez, a well respected activist in the largest left-wing party, the Democratic Revolution Party (PRD), and a member of la Coordinación de Diversidad Sexual del PRD-DF (the Coordination of Diversity Sexual PRD-DF party, the party's LGBT group), was found dead in his apartment in the neighborhood of Tlatelolco on 23 July, with nearly 100 stab wounds. 5 August the president of the PRD in the Federal District (Mexico City PRD), Manuel Oropeza Morales, unveiled a plaque in Sánchez's honor in Tlatelolco to highlighted his work to extend and defend the rights of sexual diversity in the country and in Mexico City. According to Daniel Sánchez Juarez this is the first time a national march of this nature has been organised. Following the march, a contingent met the Attorney General of Mexico City, Gabriel Hernandez, to request a hearing with Attorney Miguel Ángel Mancera and require a report on the progress of an investigation into the murder of Christian Sánchez. 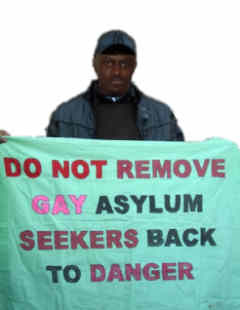 The march's demands included an end to impunity and to require the murder of gays, lesbians and transsexuals are not considered any more as "crimes of passion". Another of the demands was a campaign to raise the awareness of public servants and police forces on issues of sexual diversity and the creation of a Special Prosecutor. Most murders go unreported outside of Mexico. Activists in Puebla State just reported on at least 10 hate crime murders of LGBTTTI from 2005 to date. In July we reported the shooting of five trans women in Chihuahua.